When a family member is diagnosed with a chronic illness, the shock can be substantial. In those first months after diagnosis, family members and caregivers are busy learning about the condition and coordinating treatment. Little thought is given to what happens after the routine of care is established, and caregivers begin to feel the effects of that care. From driving to doctor’s appointments to practical tasks such as cooking, shopping, and cleaning, caregivers may begin to suffer from compassion fatigue. Compassion fatigue is the physical and emotional stress that a caregiver may feel when caring for someone who has a significant physical or mental condition. Compassion fatigue is more than simply feeling tired after caring for someone who has had the flu for a week. This condition can be serious and require professional help in order to continue to care for a sick friend or loved one. There are ways, however, for caregivers to recognize early signs of compassion fatigue and initiate vital care for themselves before they reach exhaustion. Compassion fatigue is a very real occupational hazards for professional caregivers, including nurses and hospice workers, but family and friends of chronically ill people are also at risk. The development of compassion fatigue follows predictable stages. Diagnosis: The patient is diagnosed with a chronic illness. This stage is often characterized by shock and may follow the stages of grief, including denial and anger with eventual acceptance. Once acceptance occurs, the next stage begins. Education: Patient and caregiver begin to learn about the diagnosis, including potential treatment and daily care. Education may include modification to the home if necessary and may also include purchasing or procuring necessary healthcare equipment. Daily care: This stage marks the beginning of life with a chronic illness. Caregivers may be called upon to take over the majority of income-providing work while also caring for the patient and other family members. It may be difficult to find balance in this new stage, and a caregiver may begin to feel physically tired. The person with the chronic illness may also feel stress if they are unable to contribute as before, and the relationship between caregiver and patient may begin to be strained. At this point, money may be an issue as well. Stress begins to show: When daily care continues for months and years, caregivers may find themselves working overtime, sleeping poorly, and eating whatever is at hand in an effort to continue juggling all of their responsibilities. They may begin to experience depression that manifests itself as irritability. They may start to eliminate hobbies or interests that once brought them joy, and this constant work and care without a break may cause their own health to suffer. At this point, caregivers may need to take a step back. If this stress continues without any change in routine, caregivers may suffer serious depression, and their relationship with the patient will suffer as a result. Caregivers who don’t find a way to relieve their stress may become sick themselves, or they may begin to resent the patient. There are many different ways that caregivers can find support and help themselves before they reach a level of compassion fatigue that leads to damaging consequences. One common feature of caregivers, both professional and family members, is that they neglect their own needs in favor of the needs of their patient. While this is sometimes a necessary feature of caregiving, it is important that caregivers take time for themselves to rest, relax, and recharge. This might mean taking a long walk, going out with friends, or working on a hobby or interest. This regular time is something to look forward to, something that is separate from the drudgery of caring for a person who is ill. Many caregivers don’t want to admit that daily care is drudgery, but the physical tasks of care can be wearing, and there is nothing wrong with taking a break. Eating nourishing food and getting enough sleep every night are not luxuries for caregivers; they are essential to the marathon of caring for a chronically ill person. The same goes for getting exercise and fresh air on a regular basis. Exercise is a great stress reliever, especially if it includes a component of mental exercise. Yoga, hiking, biking, and swimming can all be very meditative activities that help prepare caregivers to face whatever challenges lie ahead. Many chronically ill people would also benefit from these types of exercise, so making this self-care a part of caregiving is an option, too. Chronic illness doesn’t always equal chronic helplessness, and many chronically ill people want to participate in the daily life of their household. When possible and where advisable, encourage chronically ill patients to take up what tasks they can. 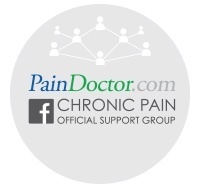 Each situation and illness is different, and there is no one way to include a patient in household tasks, but helping children with homework or bedtime reading, cooking or preparing lunch or breakfast, or organizing files or bills are all examples of ways that a chronic pain patient can help a caregiver. These things may seem small, but they can be a boost in self-esteem for the patient and a tremendous help for the caregiver. Sometimes caregivers ignore the signs of compassion fatigue for too long, necessitating professional intervention. In these cases, counseling can help, as can attending a support group or speaking to a trusted friend. Caregivers who neglect their own needs for too long may find it more difficult to recover from their compassion fatigue and may require more help to return to compassionate care for their loved one. As nearly 1/3 of the U.S. joins the “sandwich generation,” caring for aging parents and growing children simultaneously, it is important to recognize early signs of compassion fatigue. Use the American Cancer Society’s distress checklist to see if you need to step up your self-care.